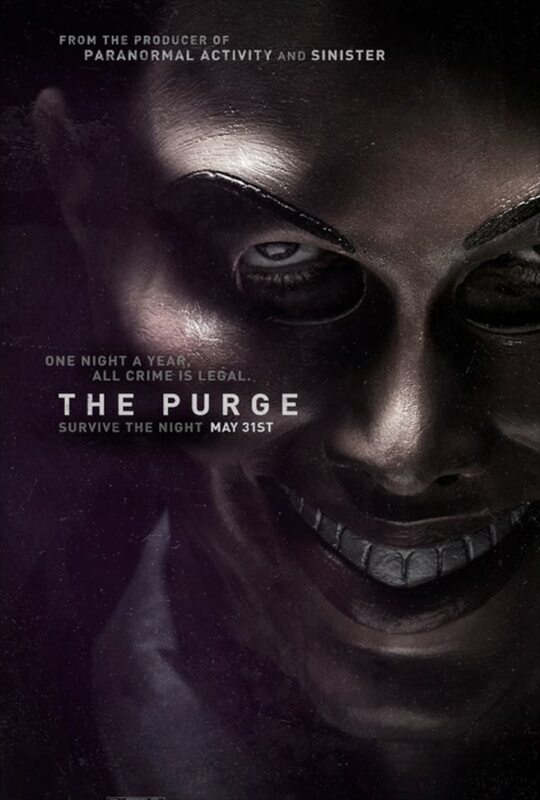 Directed by James DeMonaco (writer of Assault on Precinct 13 and The Negotiator), The Purge is produced by Jason Blum of Blumhouse (Paranormal Activity, Indious, nister) and Platinum Dunes partners Michael Bay, Brad Fuller, and Andrew Form (The Amityville Horror, The Texas Chainsaw Massacre) as well as Sébastien Kurt Lemercier (Assault on Precinct 13). It stars Ethan Hawke, Lena Headey, and Adelaide Kane. Synops In an America wracked by crime, the government has sanctioned an annual 12-hour period in which any and all criminal activity—including murder—is legal. The police can’t be called. Hospitals suspend help. It is one night when the citizenry regulates itself without thought of punishment. On this night plagued by violence and an epidemic of crime, one family wrestles with the decion of who they will become when a stranger comes knocking.